Genuine Zoom Advanced Power Teeth Whitening is the most advanced Zoom Teeth Whitening system available today. Zoom takes approximately 1 Hour to Whiten teeth by an average of 8 shades.The Zoom Advanced Power Whitening procedure is simple. It begins with a short preparation to isolate your lips and gums. We then apply the Zoom Advanced Power Whitening Gel, which is activated by a specially designed laser light. Zoom! is a whitening process that lightens discoloration of enamel and dentine. There are many causes. The most common include ageing and consumption of staining substances such as coffee, tea, tobacco, red wine, etc. During tooth formation, consumption of tetracycline, certain antibiotics or excessive fluoride may also cause tooth discoloration. Almost anyone. However, treatment may not be as effective for some as it is for others. We can determine if you are a viable candidate for this procedure through a thorough oral exam, including a shade assessment. Yes. Extensive research and clinical studies indicate that whitening teeth under the supervision of a dentist is safe. In fact whitening is one of the safest cosmetic dental procedure available. As with any tooth whitening product, Zoom! is not recommended for children under 16 years of age and pregnant or lactating women. By following some simple post whitening care instructions, your teeth will always be lighter than they were before. To keep your teeth looking their best, we recommend flossing, brushing twice daily, and occasional maintenance with Enlighten home whitening gel. These are professional formula products designed specifically to keep your teeth their brightest. The Zoom! light activated whitening gel’s active ingredient is hydrogen peroxide. As the hydrogen peroxide is broken down, oxygen enters the enamel and dentine, bleaching coloured substances while the structure of the tooth is unchanged. The Zoom! light aids in activating the hydrogen peroxide and helps it penetrate the surface of the tooth. New clinicals have shown the Zoom! Advanced Power whitening system delivers 33% better whitening than gel alone immediately following the procedure and 44% superior results after 30 days. The Zoom! procedure requires that all soft tissue in and around the mouth be protected. The dental professional is required to monitor the procedure to insure any exposed skin or tissue is isolated and protected. Protective eyewear is required during the procedure. Patients taking any light sensitive drugs or substances, whether over the counter, prescription or homeopathic, and light sensitive individuals should consult their doctor prior to the procedure. Anyone who is not eligible for Zoom! Chairside Whitening for these reasons may be an excellent candidate for home whitening. The complete procedure takes less than an hour. The procedure begins with a preparation period followed by 45minutes of bleaching. A cleaning is recommended prior to the actual Zoom! whitening session. Sensitivity during and after the treatment may occur with some patients. The Zoom! light generates minimal heat which is the usual source of discomfort. On occasion, minor tingling sensations are experienced immediately after the procedure, but always dissipate. Your dentist can recommend post-treatment sensitivity relief products. 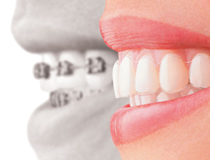 Tooth whitening is a cosmetic dental procedure well established for its safety. 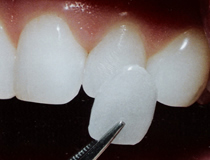 The whitening process is effective on most discoloured teeth. Darker stains, such as those caused by antibiotics, are more difficult to whiten. 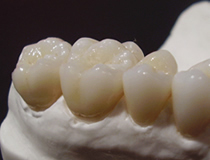 The degree of whitening will vary from patient to patient, depending on the structure of the teeth.